Since 1983, Universal Cargo offers international trade the most complete support service. The experience of its employees, the technology applied to logistics and the facilities allow Universal Cargo to offer reliability and flexibility in import/export traffic operations whether by air, sea or land. 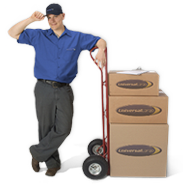 Through its worldwide agent network, Universal Cargo offers a door-to-door service to and from the five continents. From selecting suppliers and buyers, consulting in the opening of letters of credit, analysing costs and international insurances until the delivery at destination, you can rely upon our wide range of integral logistic services. FIATA: International Federation of Freight Forwarders Association.